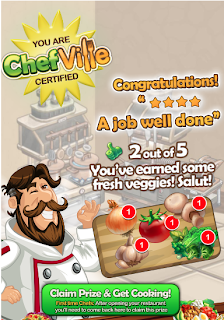 ChefVille Guide: 5 Free Ingredients! 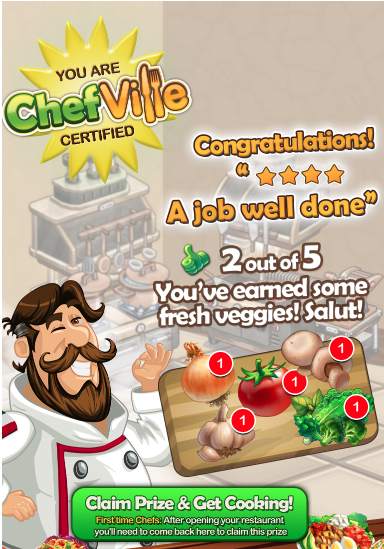 Check out the Zynga Test Kitchen and answer 5 questions to receive some free ingredients! I earned 1x Onion, 1x Tomato, 1x Mushrooms, 1x Garlic and 1x Lettuce. #2. Next Click On "Enter Test Kitchen"
#3. Answer The Questions And Click "Submit"
#4. Receive Your Free Ingredients! Be sure to comment below to tell everyone what you received from the Test Kitchen! gifts right on time. very good idea!! Thank you for the info. I posted on the Roses & Recommendations guide on this site!